Batcave Toy Room - Better Living Through Toy Collecting: Would You Like to Vist Gotham City? Would You Like to Vist Gotham City? Check out this cool looking retro travel poster. 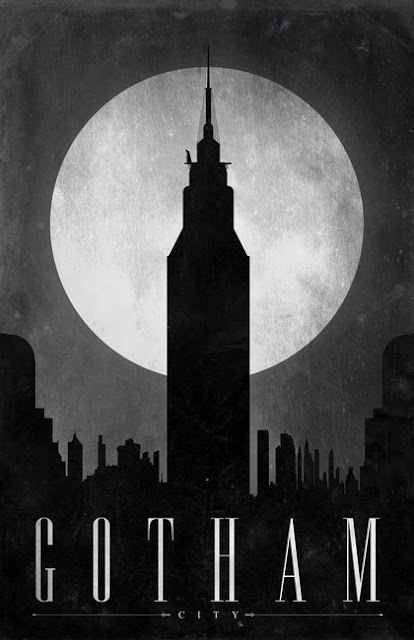 This poster represents Batman's home, Gotham City, but there are four other Super Hero cities to choose from. Go to Imagekind and check them out.